When a copy of Dr John’s debut album Gris Gris was sent to Atlantic Records’ founder Ahmet Ertegun he disliked the album so much, that he was reluctant to even release the album and said: “how can we market this boogaloo crap?” This wasn’t the response that Dr John had been hoping when he recorded Gris Gris which was a combination of psychedelia, blues, free jazz, R&B, soul, funk, jazz. Add to this psychedelic stew the authentic music of the melting pot that is New Orleans and the voodoo image that Dr John had carefully cultivated and Gris Gris was like no other album that Atlantic Records had released. That presented the label with a huge problem. Atlantic Records’ PR department had idea to promote an album like Gris Gris, as they had no cultural reference points, nothing to compare the album to. 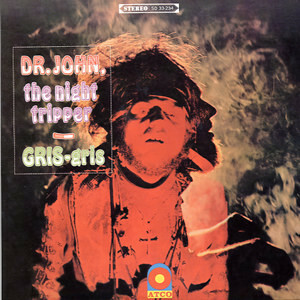 Despite the best efforts of Atlantic Records PR department, when Gris Gris was released on January the ’22nd’ 1968 and introduced the world to Dr John The Night Tripper, it failed to trouble the charts and neither critics nor record buyers understood Dr John’s groundbreaking debut album. However, like so many albums that fail to find an album on their release, Gris Gris was later reappraised and belatedly, was recognised as a seminal album that was the start of a rich vein of form from Dr John. This was the start of a six-year period when Dr John could no wrong, and released seven innovative albums that are among the his finest work. These albums are the perfect introduction to Dr John, who followed up Gris Gris with Babylon. 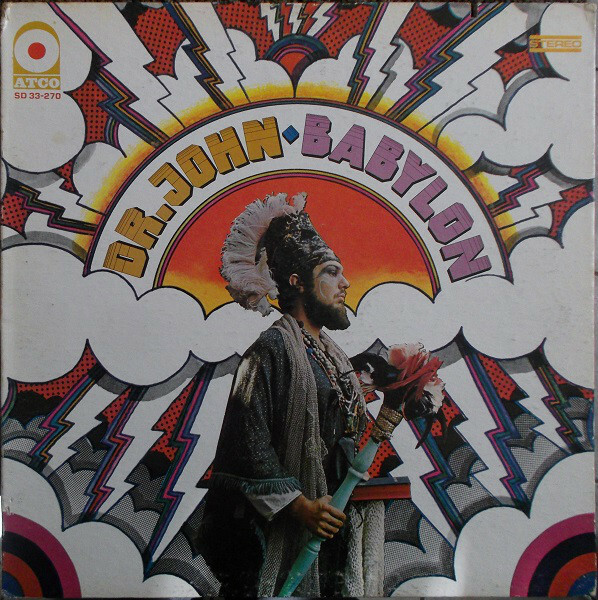 This was Babylon which was recorded in late 1969, which was a turbulent time for Dr John, who was experiencing problems in his personal life. “I was being pursued by various kinds of heat across LA” and this influenced the album he was about to make. So would the assassinations of Bobby Kennedy and Martin Luther King Jr and the Vietnam War which is referenced in The Patriotic Flag-Waiver. The title-track Babylon was recorded in 3/4 and 10/4 time, and featured Dr John thoughts on the state of world in late 1968. It was a part of a powerful album that was released in early 1969. Babylon was released on January the ’17th’ 1969 was a powerful, cerebral and innovative genre-melting album which socially had much in common with Dr John’s debut album Gris Gris. However, critics didn’t ‘get’ Babylon and the album which failed commercially. However, just like Gris Gris, Babylon was later reappraised by critics and nowadays is regarded as one of his finest albums and a minor classic. Following the commercial failure of Babylon, things went from bad to worse for Dr John, before he could begin work on his third album Remedies. This started when a deal went south, and he was arrested by the police and ended up in jail. It was a worrying time for Dr John who was parole, and if he ended up with a parole violation, he knew he might end up in the infamous Angola jail. That didn’t bare thinking about, and already Dr John was desperate to get out of the local jail. However, he needed someone to post bail, so contacted his managers who he remembers: “were very bad people.” This proved to be an understatement. Not long after this, Dr John’s managers had him committed to a psychiatric ward, where he spent some time. By then, it was obvious to Dr John that his managers were no longer playing by the rules. All he wanted to do was make music, and everything that had happened recently were nothing to do with music. Instead, it was all connected to Dr John’s increasingly chaotic lifestyle, which made it all the more frustrating for those that realised just how talented the Gris Gris Man was. Eventually, having managed to put his problems behind him, Dr John wrote the six tracks that became Remedies using his real name Mac Rebennack. Among the tracks Dr John had written was What Goes Around Comes Around which later became a favourite during his live shows and Mardi Gras Day which paints pictures of New Orleans when it comes out to play. Very different was Angola Anthem which was inspired by a friend of Dr John’s who had just been released from Angola, the Louisiana State Penitentiary after forty years. Dr John paid tribute to his friend with an eighteen minute epic that took up all of side two of Remedies. It was produced by one of the most successful producers of the day. Although Harold Battiste had produced Gris Gris and Babylon, he was replaced by Tom Dowd and Charles Greene who were tasked with transforming Dr John’s career. However, although Tom Dowd was enjoying the most successful period of his career, he had never worked with anyone like Dr John. When the recording of Remedies began, Dr John was joined by a small band that featured Cold Grits who played drums, bass and guitar and backing vocalists Shirley Goodman, Tami Lynn and Jessie Hill who also played percussion. Dr John played piano, added his unmistakable vocals and despite losing part of a finger during a shooting a few years previously, he played guitar on Remedies which was released in the spring of 1970. Just like his two previous albums, critics didn’t seem to understand Remedies, which was credited to Dr John The Night Tripper. 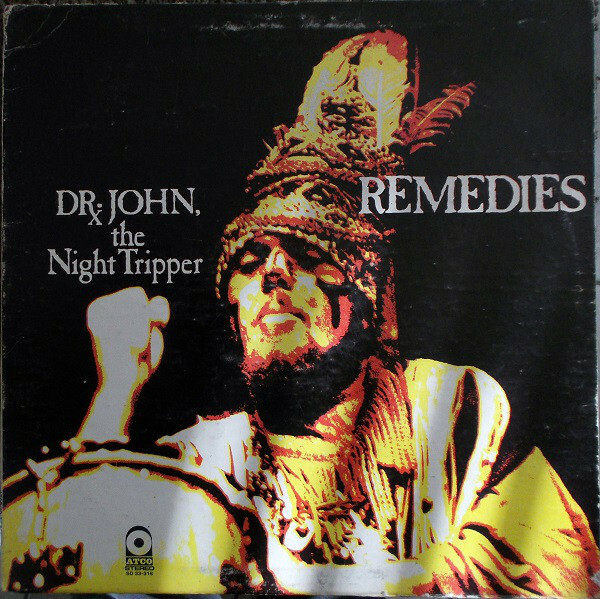 Remedies was another ambitious album of genre-melting, voodoo-influenced album where Dr John The Night Tripper through everything from psychedelia, blues, R&B, soul, funk and jazz into the musical melting pot and gave it a stir to create an album where the music was mysterious, otherworldly and haunting. That was the case from the album opener Loop Garoo while there’s a darkness and defiance to the lyrics to the hook-laden What Comes Around (Goes Around) which showed another side to Dr John. His recent problems and experiences had influenced Wash, Mama, Wash where soaring backing vocals and horns accompany Dr John on a track that is tinged with humour. The horns return and play their part in the success of Chippy Chippy, before the darkness describes and music becomes moody and broody as chants, moans and cries emerge from this lysergic voodoo stew of Mardi Gras Day which gives way to the otherworldly eighteen minute epic Angola. 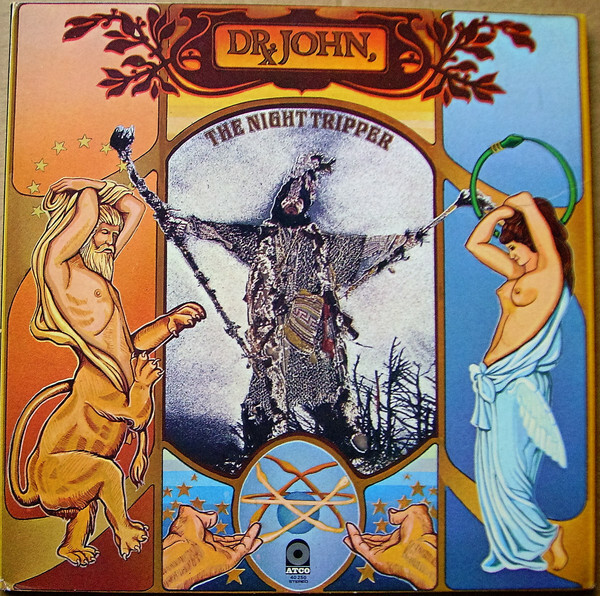 It brought Remedies to a close, which was a potent and heady brew from Dr John The Night Tripper. By the time Remedies was released on April ‘9th’ 1970, some FM radio stations had picked up on the album, and were playing it on their late shows. Despite the radio play Remedies had received, the album never troubled the charts, and it was only much later that record buyers realised that they had missed out on another important and innovative album from Dr John. The Sun, Moon and Herbs. Despite Dr John’s first three albums failing to find an audience, many of his fellow musicians were fans of his music, and were only too happy to feature on his fourth album The Sun, Moon and Herbs. This included Eric Clapton, Mick Jagger, Bobby Whitlock, Graham Bond, Carl Radle, Jim Gordon and Doris Troy. They were joined by The Memphis Horns as Dr John and Charles Greene took charge of production. They were responsible for a dark and swampy sounding album that is rich in imagery and paints of New Orleans on a hot, sticky night as thunder crackles and rumbles in the distance like the drums on The Sun, Moon and Herbs. When it was released on August the ’31st’ 1971, still critics struggled to understand Dr John’s music, but this time, The Sun, Moon and Herbs which featured an all-star cast, spent five weeks in US Billboard 200 and peaked at 184. At last, Dr John’s music was starting to find a wider audience. Buoyed by the success of The Sun, Moon and Herbs, Dr John decided to record an album of cover versions of New Orleans’ classics for his fifth album Dr. John’s Gumbo. It was produced by Harold Battiste and Jerry Wexler and ironically given Dr. John’s Gumbo featured tracks by legends some of the New Orleans’ musical legends including Professor Longhair, Huey “Piano” Smith, James “Sugar Boy” Crawford and Dr John the album was recorded in LA. However, Dr. John’s Gumbo was The Night Tripper’s most successful album. 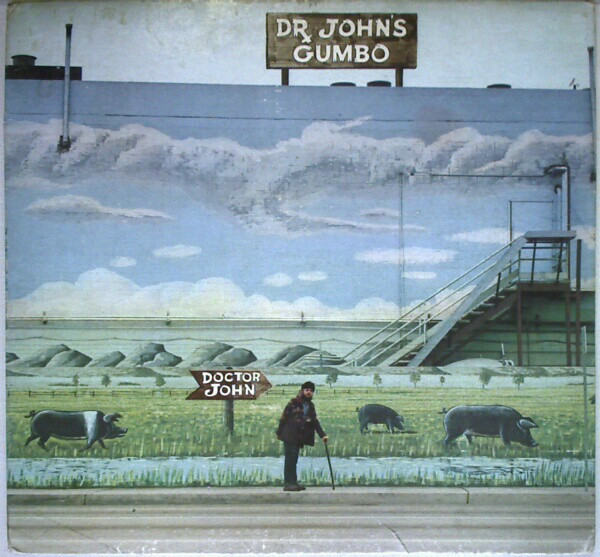 Unlike previous albums, Dr. John’s Gumbo was a much more straightforward album of R&B, and it found favour with critics. After Dr. John’s Gumbo was released to critical acclaim, it reached entered the US Billboard 200 where it spent eleven weeks, peaking at 112. Dr John was on his way. Following the success of Dr. John’s Gumbo, Dr John headed to Criteria Studios, in Miami, where he recorded In The Right Place with songwriter, musician, arranger and producer Allen Toussaint. 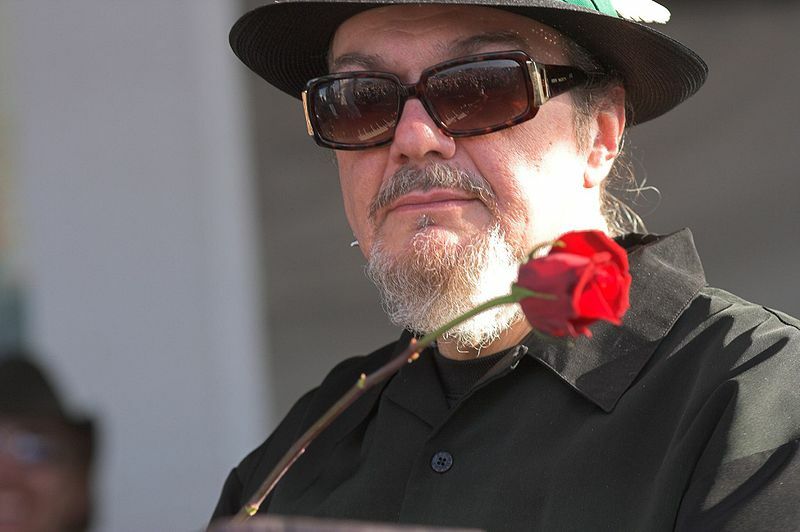 He was one of the most influential figures in the New Orleans’ music scene, and was able to bring out the best in Dr John as he laid down songs of the quality of Right Place, Wrong Time, Same Old Same Old, Peace Brother Peace and Such A Night. Once In The Right Place was completed, the two men returned to the Big Easy and watched as Dr John’s popularity soared. Critics on hearing In The Right Place which was a fusion of funk, blues and New Orleans R&B hailed the album was one of his finest. Record buyers agreed when In The Right Place was released on February the ’25th’ 1973 thirty-three weeks in the US Billboard 200 and peaked at twenty-four. What Ahmet Ertegun had foolishly described as: “boogaloo crap” just a few years earlier, was now proving profitable for his company. Dr John was having the last laugh. 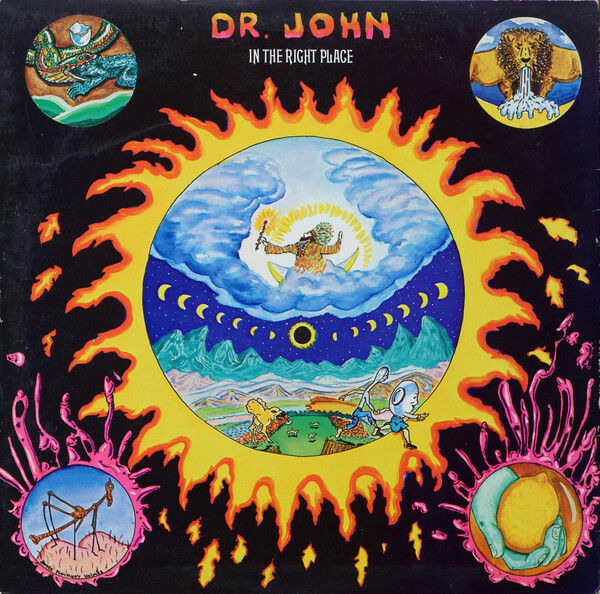 The success of In The Right Place was a game-changer for Dr John, whose popularity soared. After six albums, he was enjoying the commercial success and critical acclaim his music deserved. However, Dr John knew that he would have to think about his seventh album, and began writing what became Desitively Bonnaroo. Of the eleven tracks on Desitively Bonnaroo, Dr John wrote nine and penned Desitively Bonnaroo with Jessie Jill. These tracks were joined by covers of Earl King’s Let’s Make a Better World and Allen Toussaint’s Go Tell the People. These tracks were recorded at Sea-Saint Recording in New Orleans and Criteria Studios in Miami. Just like In The Right Place, Allen Toussaint produced Desitively Bonnaroo, played piano, keyboards and added percussion and backing vocals. Accompanying Dr John was The Meters, one of New Orleans’ hottest funk band plus a horn section and backing vocalists. They played their part in an album that followed in the footsteps of In The Right Place. When critics heard Desitively Bonnaroo they were once again won over by another carefully crafted album of funk and New Orleans R&B from Dr John. It oozed quality from the opening bars of Quitters Never Win and included another version of What Come Around (Goes Around) plus the irresistible Mos’ Scocious and songs full of social comment like Everybody Wanna Get Rich) Rite Away and Let’s Make a Better World. They were joined by the soulful and funky Sing Along Song and Can’t Git Enuff which is one of the funkiest cuts on the album. However, one of the most beautiful and poignant was the ballad Go Tell The People, which gives way to the uber funky album closer Desitively Bonnaroo. It closed Dr John’s seventh album on a high. On the release of Desitively Bonnaroo on April the ‘8th’ 1974, it charted in the US Billboard 200 where it spent eight weeks and reached number 105. Despite the quality of Desitively Bonnaroo it had failed to replicate the commercial success of In The Right Place, which must have been a huge disappointment for Dr John. Sadly, Desitively Bonnaroo was the last album that Dr John released on the Atlantic Records imprint Atco, and was the end of a golden period for Dr John. From Gris Gris which was released on January the ’22nd’ 1968, right through to Desitively Bonnaroo which hit the shops on April the ‘8th’ 1974, musical chameleon and pioneer Dr John had been on the hottest streak of his career, releasing a string of groundbreaking albums, including several classic albums. These albums showed different sides to Dr John’s music, as his music continued to evolve over a six-year period. By the time he released the funky New Orleans R&B of Desitively Bonnaroo in 1974, this was a long way from his classic debut album Gris Gris. It was an album the majority of critics and record buyers failed to understand. Sadly, that was the also case with Remedies which was released in 1970. 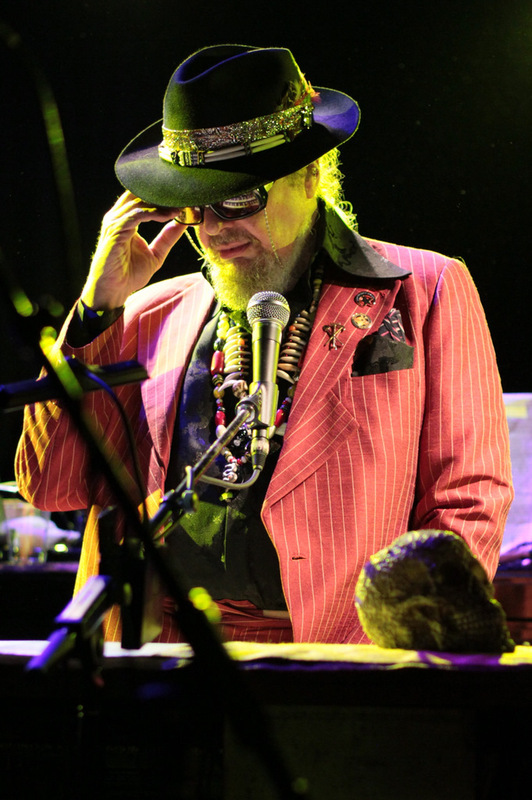 It saw Dr John The Night Tripper throw psychedelia, blues, R&B, soul, funk and jazz into the musical melting pot and gave it a stir to create an album where the music was mysterious, otherworldly and haunting. However, this vastly underrated album passed record buyers, and it was only much later that record buyers appreciated and embraced this innovative album. Nowadays, original copies of Dr John’s seven Atco albums aren’t easy to find, Between 1970s Remedies and 1974s Desitively Bonnaroo this musical pioneer had reinvented his music and was enjoying the commercial success and critical acclaim he so richly deserved. 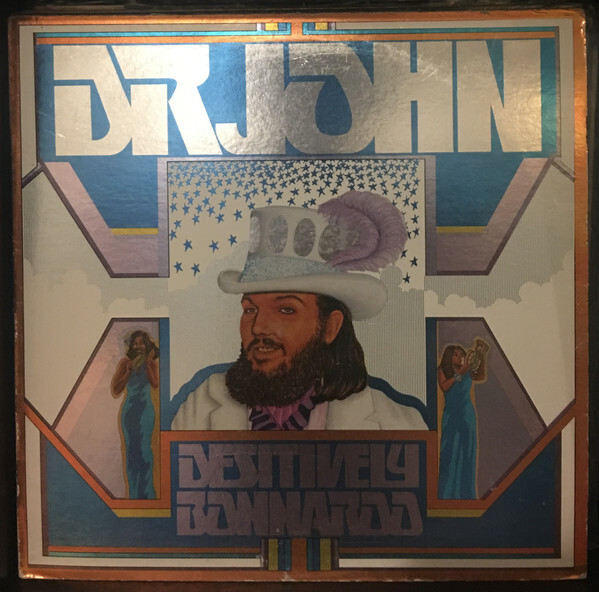 Sadly, Desitively Bonnaroo brought to an end what was a golden period where Dr John could do no wrong, as this musical legend released some of the best music of his long and illustrious career. ← WHERE THE GIRLS ARE VOLUME 10.